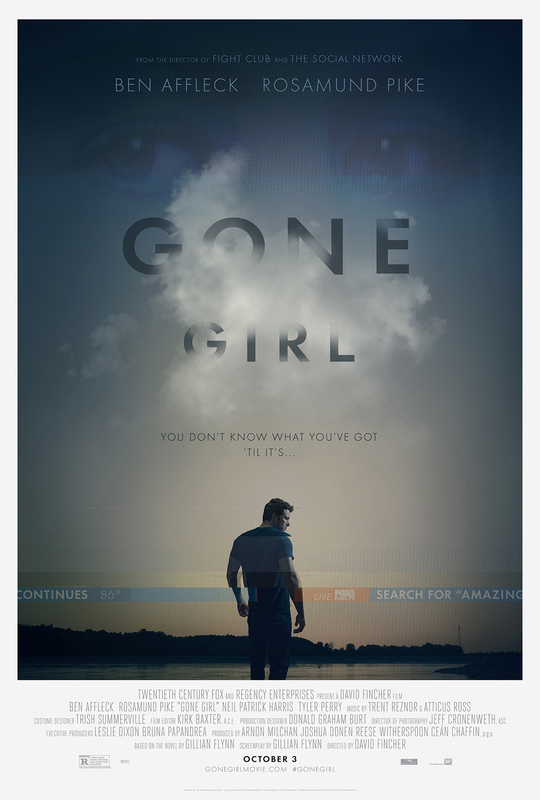 “Gone Girl” is a psychological thriller with plenty of surprises to hold you captive until the credits roll. Director David Fincher’s adaption of Gillian Flynn’s best-selling novel is mesmerizing. Personally, I felt Fincher’s “The Social Network” should have earned him an Oscar for Best Picture in 2010; it did win for editing that is also pitch-perfect in “Gone Girl.” Rosamund Pike’s riveting performance as Amy has catapulted her up to Hollywood’s A-list. Ben Affleck’s Nick has just the right amount of self-assuredness along with bountiful smirks to be highly effective. I read half of the book but stopped due to the fact I wanted to view the movie with no frame of reference. I’m thankful for my decision, as the film was one shocking surprise after another. A dark, entertaining, runaway bullet train. Listen to Sarah Knight Adamson’s Radio Review Sat. evenings 10:06 CST on Hollywood 360 Radio Network,in Chicago listen to WINDam 560. The podcast will be posted after the film segment has aired.